Anne Shivas is a Scottish poet, educator and teacher of the Alexander Technique. Her first collection of poetry, Whit Grace, was published by Word Poetry (2017). Her poems have appeared in various journals and anthologies including Across Borders, Causeway, Northwords Now, Lallans, Voices Israel, Determinations 2, Inspired, Get Writing, Osher Anthology 2016 and From the Lighthouse. She won second prize in the Reuben Rose competition 1994, was runner-up in the 2006 National Galleries of Scotland competition and winner of the 2016 Tyne and Esk Writer of the Year poetry section. Her poem An Old Woman Cooking Eggs was chosen by the Scottish Poetry Library as one of the 20 Best Scottish Poems of 2017. Shivas was born in Aberdeen, Scotland and raised in Edinburgh. She earned a B.Ed (Hons) from Dunfermline College, Edinburgh, an M.A in Philosophy of Education from London University where she also did graduate work on Dance and Philosophy, and an MFA in Poetry from Drew University, NJ. She taught for several years in various schools, at London University, and most recently has taught Scottish literature and poetry through the Osher at Dartmouth program at Dartmouth College. 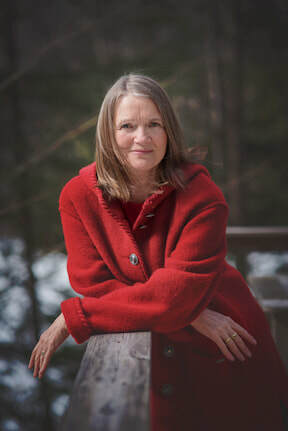 She is also a teacher of the Alexander Technique, with an interest in Analytical Psychology, and has an office Norwich, Vermont. Anne divides her time between Norwich, Vermont and North Berwick, Scotland with her husband, retired dermatologist, Sid Klaus, and their two dogs. ​“My poetry is celebratory in nature and owes something to the Gaelic tradition of praise poetry." Copyright Anne Shivas. All rights reserved.